What questions do your friends have about Christianity? Thank you for your interest in Redeemer East Side. We hope that our website gives you a glimpse into the life of our community and a sense for our mission to be a church that exists not for ourselves, but for others. Here are a few things that I hope stand out to you. First, I hope you sense our joyful belief that the gospel of Jesus Christ is good news for every person in the world and that this belief singularly shapes everything we do. Second, I hope you see here a church that works toward the good of our neighbors and the flourishing of the entire city—from our worship to our Community Groups to our Neighborhood Gatherings and social justice ministries and even in our emphasis on integrating our faith into our daily work. But mostly, I hope you see a rich, even if imperfect, community of ordinary New Yorkers whose lives have been radically changed by a love that is far greater than we thought was possible—the love of God in Jesus Christ. Welcome! Get a glimpse into Community Life! 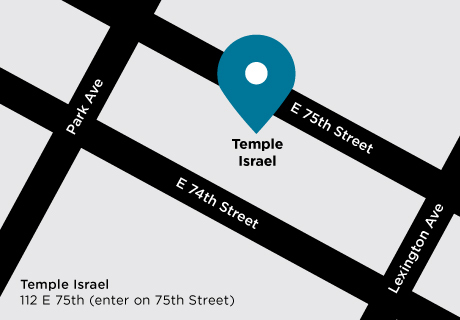 After each of our three services, we have coffee and snacks available on the lower level of Temple Israel sanctuary. If you are visiting, we would love to get to know you and answer your questions. Please stop by one of our Welcome Tables for more information! Easter Sunday Services: 8:30 a.m., 10:00 a.m., 11:30 a.m. and 5:00 p.m.
Sunday Services: 9:30 a.m., 11:30 a.m. and 5:00 p.m.